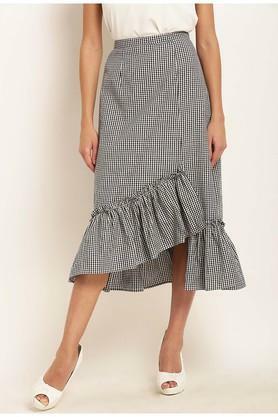 Modern style meets a regal flair in this asymmetrical skirt from the house of Rare. 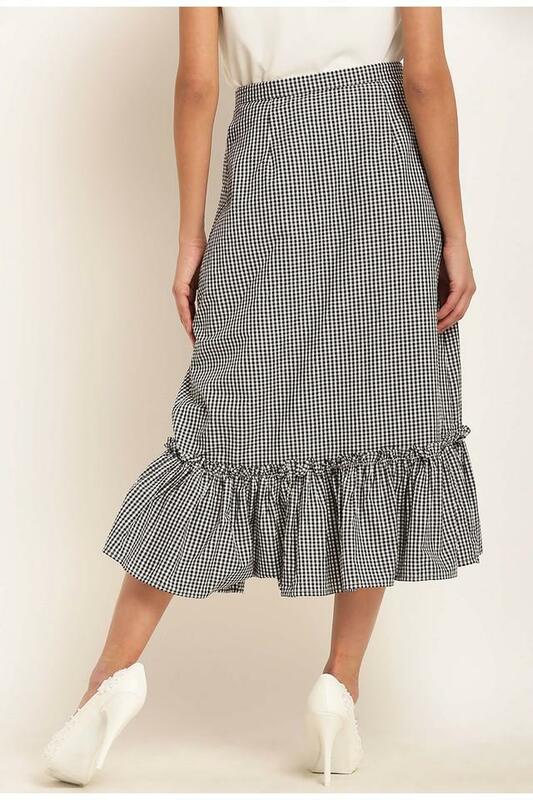 It comes in a checked pattern that lends it an elegant look. The elastic closure on the waist ensures convenience while wearing it. Besides, it has been made of good quality fabric which ensure optimum comfort. Simple yet stylish, this skirt will be a smart addition to your wardrobe collection. It is Ideal for casual occasions. 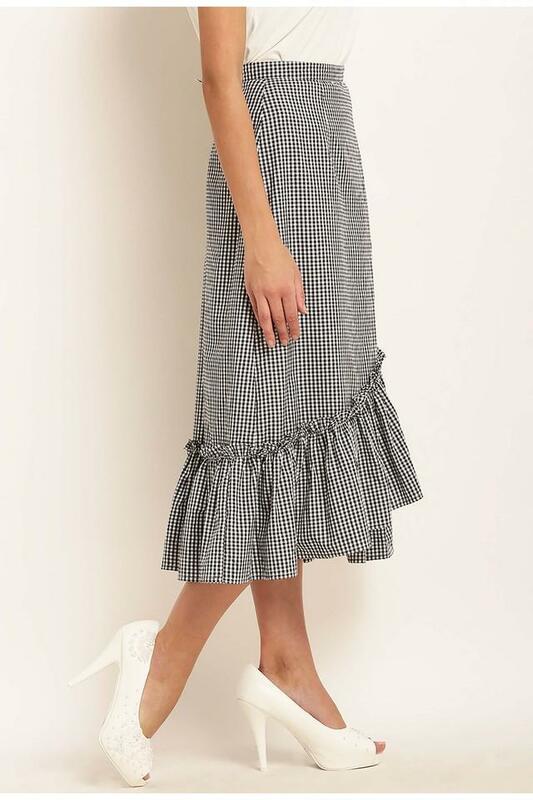 Team this skirt with a top and sandals.